The hot news in the crashed supercar arena is the Ferrari Enzo that was wrecked by Eddie Griffin during filming of the movie “Redline”. A year ago, the Enzo pictured above was crashed into a concrete barrier by the movie star, компютри втора употребаa video of which then appeared on YouTube. Griffin, who “Frenchfried when he should have pizza’d” was unhurt in the accident, but the Enzo was significantly damaged. The car was apparently purchased to be repaired and is being sold via Matthews Auto in Texas. There is a lot of controversy in the Ferrari community about what the car is actually worth. 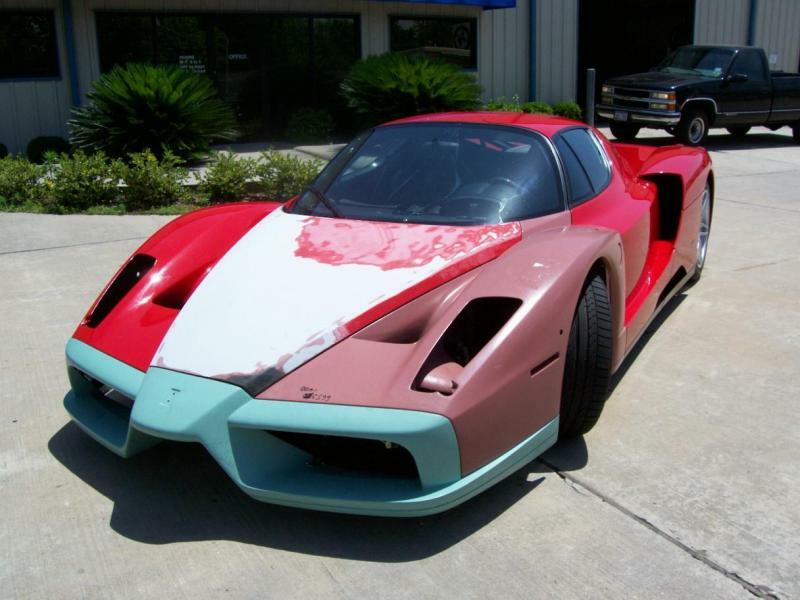 Some say that the exclusivity of this vehicle, despite being crashed, warrants a sticker price near the $1.2m mark currently commanded by an otherwise pristine Enzo. Others, me included, think that this car is worth less because of its rough history, which includes the non-Ferrari repair job and high mileage relative to its Enzo brethren. I think it would make a great daily driver for those with the means, but the car in its current paint scheme would look more at home in the junkyard than on the racetrack. Still, I wonder if they would let me test drive it..